Join us our next breakfast meeting on Tuesday, September 8, 2015 when Ron Feldman, CFE will lead a discussion of Performance Standards in Franchising – Benchmarking. As Chief Development Officer at FRANdata, Ron Feldman utilizes his knowledge and expertise on franchise performance metrics to help both franchisors and suppliers gain higher levels of productivity and profit. His efforts build upon FRANdata’s best practices solutions stemming from more than 25 years of information-driven analytics. Feldman is also a principal at Franchise America Finance and Siegel Financial Group and continues to serve as their Chief Brand Strategist. 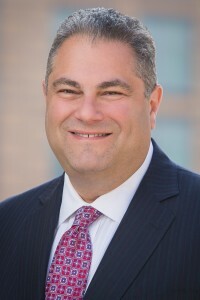 Prior to his time at Siegel Financial and Franchise America Finance, Feldman was Executive Vice President and Chief Operating Officer of Response USA, a publicly traded Alarm Systems Company. Before entering into the private sector, Feldman and his wife were one of the early Goddard School franchisees and successfully owned, operated and sold their Goddard School in 2007. He is often called upon to be a keynote speaker at franchise-related events, and has appeared on television programs championing the cause of small businesses. Feldman has been published numerous times in trade magazines, and is the instructor-of-choice and subject matter expert on financing and capital access to the International Franchise Association (IFA). In 2013, Feldman was awarded the Sid Feltenstein MVP Award for service to the IFA’s Political Action Committee (FRANPAC). As a principal of Siegel, He sits on the supplier forum advisory board of the IFA and has the distinction of being a Certified Franchise Executive (CFE).